Megalodon, a giant prehistoric shark of the Neogene period. During the course of the Neogene period, life on earth adapted to new ecological niches opened up by global cooling--and some mammals, birds, and reptiles evolved to truly impressive sizes in the process. The Neogene is the second period of the Cenozoic Era (65 million years ago to the present), preceded by the Paleogene period (65-23 million years ago) and succeeded by the Quaternary period---and is itself comprised of the Miocene (23-5 million years ago) and Pliocene (5-2.6 million years ago) epochs. Like the preceding Paleogene, the Neogene period witnessed a trend toward global cooling, especially at higher latitudes (it was immediately after the end of the Neogene, during the Pleistocene epoch, that the earth underwent a series of ice ages interspersed with warmer "interglacials"). Geographically, the Neogene was important for the land bridges that opened up between various continents: it was during the late Neogene that North and South America became connected by the Central American Isthmus, Africa was in direct contact with southern Europe via the dry Mediterranean Sea basin, and eastern Eurasia and western North America were joined by the Siberian land bridge. Elsewhere, the slow impact of the Indian subcontinent with the underbelly of Asia produced the Himalayan mountains. Mammals. Global climate trends, combined with the spread of newly evolved grasses, made the Neogene period the golden age of open prairies and savannahs. 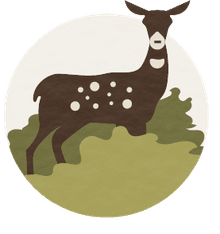 These extensive grasslands spurred the evolution of even- and odd-toed ungulates, including prehistoric horses and camels (which originated in North America), as well as deer, pigs, and rhinoceroses. During the later Neogene, the interconnections between Eurasia, Africa, and North and South America set the stage for a confusing network of species interchanges, resulting (for example) in the near extinction of South America's Australia-like marsupial megafauna. From a human perspective, the most important development of the Neogene period was the continuing evolution of apes and hominids. During the Miocene epoch, a huge number of hominid species inhabited Africa and Eurasia; during the ensuing Pliocene, most of these hominids (among them the direct ancestors of modern humans) were clustered in Africa. It was immediately after the Neogene period, during the Pleistocene epoch, that the first human beings (genus Homo) appeared on the planet. Birds. While birds never quite matched the size of their distant mammalian cousins, some of the flying and flightless species of the Neogene period were truly enormous (for example, the airborne Argentavis and Osteodontornis both exceeded 50 pounds.) The end of the Neogene marked the extinction of most of the flightless, predatory "terror birds" of South America and Australia, the last dregs being wiped out in the ensuing Pleistocene. Otherwise, bird evolution continued apace, with most modern orders well- represented by the close of the Neogene. Reptiles. A large chunk of the Neogene period was dominated by gigantic crocodiles, which still never quite managed to match the size of their Cretaceous forebears. This 20-million-year span also witnessed the continuing evolution of prehistoric snakes and (especially) prehistoric turtles, the latter group of which began to reach truly impressive proportions by the start of the Pleistocene epoch. Although prehistoric whales had started to evolve in the preceding Paleogene period, they didn't become exclusively marine creatures until the Neogene, which also witnessed the continuing evolution of the first pinnipeds (the mammalian family that includes seals and walruses) as well as prehistoric dolphins, to which whales are closely related. 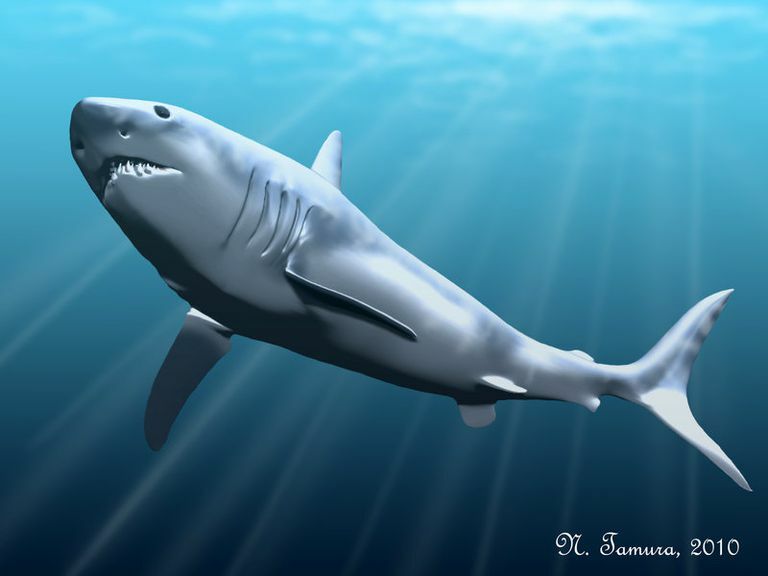 Prehistoric sharks maintained their status at the top of the marine food chain; Megalodon, for example, had already appeared at the end of the Paleogene and continued its dominance throughout the Neogene as well. There were two major trends in plant life during the Neogene period. First, plunging global temperatures spurred the rise of massive deciduous forests, which replaced jungles and rainforests in high northern and southern latitudes. Second, the worldwide spread of grasses went hand-in-hand with the evolution of mammalian herbivores, culminating in today's familiar horses, cows, sheep, deer, and other grazing and ruminant animals.